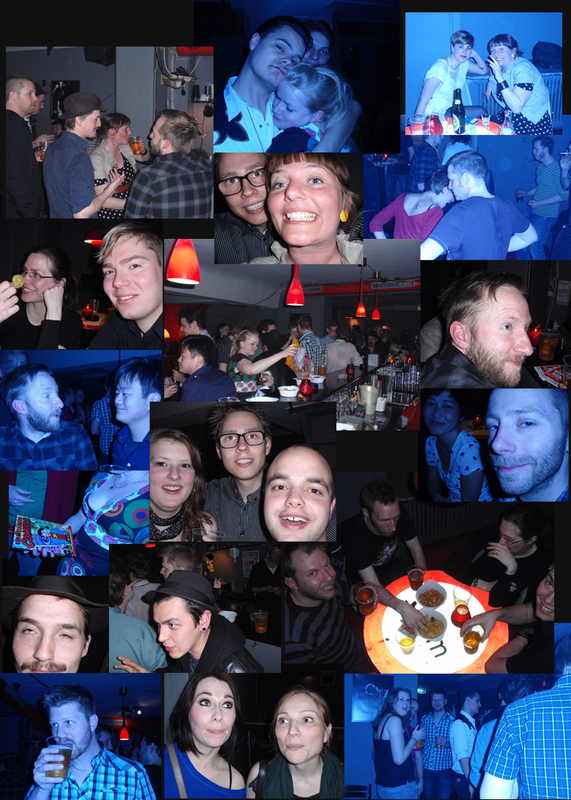 Let's take a moment to thank my good friend Jesper who took most of the pictures during the night (and abused my camera). Aaaargh, where did all the time go?! All the things I wanted to write about and all the pictures I wanted to show. Well, patient people you'll have to be patient a little bit longer and then I will post picetures from my birthday party and other events that I want to share. Guitar Hero! Guitar Hero drums with light sabers! It works though they are a bit noisy, so it's hard to hear the tune. On sunday we were at Steffen's place. He cooked us a great meal and then we went straight for the Guitar Hero game. Funny how we always end at Steffen's place. Maybe because he's got all the instruments for GH. Later after a couple of beers and bottles of red wine the light sabers became very interesting. 70 pictures later in different light and exposures we got thirsty and had to have another round of smoothie shots. A party of three! I just had a lovely Easter! A lot of relaxing - and that was needed indeed! We went to the country side to see my parents. My mother had put up a bit of easter decoration and outside the trees were all brimming with green buds and the forsythia was almost yellow. Unfortunately it was raining most of the time, so I couldn't get out to take pictures. .
Been working all night to get this homepage up and running. Thank you, Jonas, for all the help :) And thank you tea with milk and thank you chokolade for keeping me running. I hope that everyone will enjoy my work. I will keep it coming!